Comedian and actor Rob Huebel was out walking his dog when Indiewire got him on the phone just before the launch of “Transparent” Season 2, which might have been why we had a pretty easygoing conversation about the current state of his career. 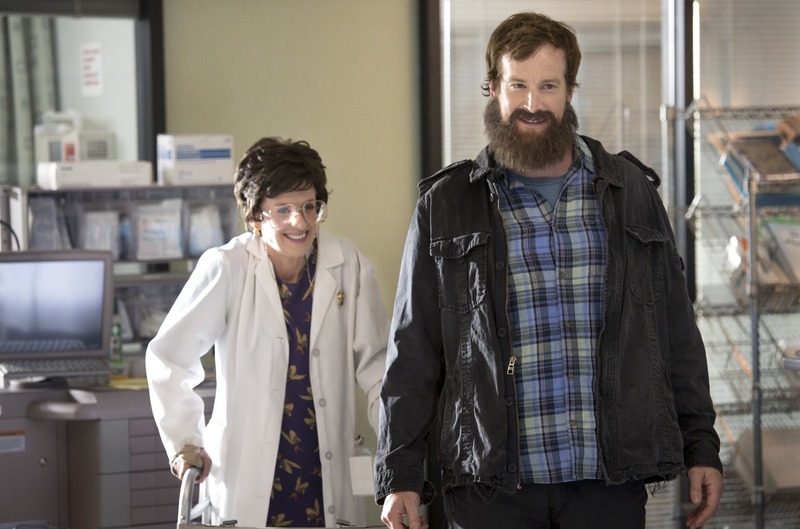 A familiar face to comedy fans, Huebel has made a point over the last few years of picking projects that challenge him on a dramatic level, while also keeping up with ongoing roles on shows like “The League” and “Children’s Hospital.” Below, Huebel talks about the differences between performing improv on “Transparent” versus more straightforward comedies, getting his first chance to cry on camera and how the set of “Transparent” is kind of like a cult (in a good way). I wanted to start with Transparent because it’s freshest in my mind. I just finished the second season this morning. Wait, you’ve already seen the second season? Yeah, they gave us all of it. Oh man, I haven’t seen it. Well, I imagine you have some idea of what happens. I know what happens, but yeah, I’ve got to see it. How was it? It was great. It’s really exciting to see them push forward with all the character stories. Yeah, it’s really cool. That show is so fun to do and it’s such good writing, it always blows me away. I think that a lot of people who haven’t seen it still kind of think it’s just going to be about this woman transitioning, and it’s not just about that. It’s about so much more. Everyone really starts to transform in their own way. Yeah, that is one of the most exciting aspects. Every character really has a story. So I’m curious, how did you first get involved? What was the process like? Well, I had met Jill about two years before, when she was doing a movie called “Afternoon Delight.” I didn’t know her, but I met with her to talk about doing a part in the movie, and then she did not cast me in the movie, so I was very upset. Then, I just got a call, like, a year later or whatever that said she was doing this show for Amazon. At that point, it was just a pilot and she asked if I wanted to be in the pilot. Really, I would do anything Jill says. She’s a really strong leader and just has a way about her where you don’t have to worry about anything. A lot of times when you’re making stuff for TV or for movies, there are so many things that can go wrong, but she’s one of those people who just knows exactly what she wants and she knows how it’s going to look and she knows exactly how it’s going to feel. So I was just psyched that she asked me to be in the pilot and then once the show got picked up, my part got expanded a little bit. I’m certainly not a huge character in it, but I get to pop up every now and then. It’s fun for me to do something that’s totally different. I normally do a lot of pretty hard comedies, a lot of sitcoms and stuff like that, so this was fun to do something like this. I think the show’s really funny, but it’s really grounded and I don’t really do anything funny. I mean my stuff is all, I would say, not funny, so it’s been really fun for me to do something like that. Do you feel like it’s less pressure to not have to be carrying the comedy? That’s a good question. Well, on that show, I don’t think they’re trying too hard to be funny. I think that things are funny just because of the relationships. A lot of it is characters just saying things that are true to those characters. I think that Judith Light is so funny on the show and Jeffrey is so funny. I think Maura’s outlook is she just says whatever is on her mind. I think that so many of those characters have the ability to be really funny that you don’t really worry about it. Jill sort of has this way on that set, and I think anyone would say this, that she just creates this environment on set where everyone’s really relaxed and super-supportive. It is like a cult in a way. Everyone’s super-positive and a lot of times I don’t think they even really say action. They’re just kind of already rolling when you get there and you feel like you’re just existing in this world without really trying too hard to be funny or to act real hard or anything like that. For you as an actor — especially given that this is somewhat different from the stuff you normally do — is being relaxed a helpful part of the process? Well, most of my stuff is with my ex-wife, Amy Landecker’s character, and a lot of it is really reacting to her. She’s such a good actor that I feel like she does a lot of the heavy lifting. There was a part in the first season that they didn’t use, but there was a scene where I ended up crying and I was so psyched because I had never cried in a scene before. Actors have this dumb thing of like, “Oh, that’s going to be really good. I can cry!” It’s so stupid, like who cares if you can cry? Anyways, that was the first time I had ever cried in a scene and then they ended up not using it. It wasn’t really appropriate that I started crying, [laughs] so they kind of cut around it. A lot of what I’m doing on the show is really reacting to Amy, and so I feel like she’s such a good actor that she makes my job really easy. But as far as the environment on the show, it’s hard to explain, but a lot of times when you get there in the morning… I’ve been there several days when Jill, at the beginning of the day, will kind of give a little pep talk to everybody. She’ll gather the whole cast and the crew and everybody around, all the background people and she’ll say stuff like, “I just want to remind everyone how lucky we are to do what we do for a job, that we get to go to work and make art and play and we get paid for it. Not many people get to do that, we’re so lucky, so let’s just have fun.” When she says stuff like that, it just kind of takes all the pressure off. She just creates a really great environment on the set. That’s great. Yeah, I remember reading about how she doesn’t use the word “action” because it’s a confrontational word. It’s funny, she doesn’t. A lot of sets, they’re just sort of screaming “Action!” and “Cut!” and it makes it very clear to the actors when to do stuff, but yeah she works with her DP Jim Frohna and he shoots all of her stuff, and they just have this rhythm that they get in where they kind of like to not use words like that. They just like to start rolling when you’re not expecting it and then she’ll also say stuff like, “You know, you don’t really have to say any of this stuff. Just say whatever you want to say.” Obviously, the script is really great already, but she’ll say something like, “You know exactly what we need out of this scene. Just say it how you would say it.” So it just makes you relaxed and allows you to improvise, too. They improvise a lot, and they just kind of let you say it the way that you would say it and do things the way you would do it. I think it lends itself a very real quality, when you watch it. It just looks like real people in those situations. I interviewed several people from “The League” last summer, and we were joking about the clichéd question of “How improv’d is it?” But improv does feel like a really important part of “Transparent’s” energy. Yeah, I think that they improvise on the show not necessarily to be funny. I’ve done “The League” a lot and when you’re improvising on that show, it’s more just to get other jokes that you can also use. 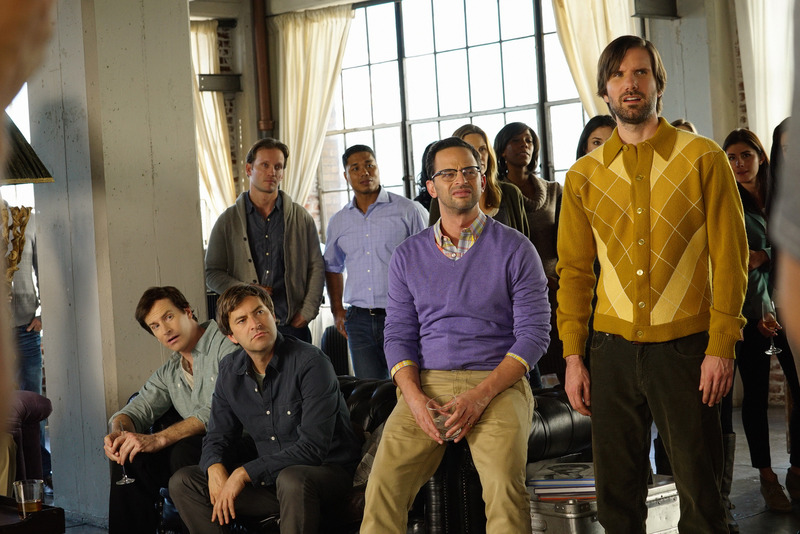 So that’s what “The League” does, but “Transparent” doesn’t really do that. They sort of improvise more in the way of exploring the scene a little more and exploring what your character might really be thinking. It’s not really going for jokes, it’s more just exploring what else this character might be thinking about. So we just did the exact same scene, but with no one talking. You’ve already seen the show, but I haven’t seen whether or not they’ve used any of it. But it’s that sort of stuff that just gives you a lot to edit with, where you can really make a scene feel totally different with all that other stuff. The more options you give yourself, you know how it works, the more options you give yourself when you’re shooting, the more options you’re going to have when you’re editing. You can go in a lot of different directions. How many days were you actually shooting? I think this season I’m in like four episodes so I’m sure I shot eight or 10 days maybe. I’m not sure, I can’t remember. Again, they have all the time in the world for some reason. Every other show that I’m on, they’re always rushed and you feel this pressure to hurry up and get out of the scene, but I don’t feel that way on “Transparent.” They like to linger in these scenes. I could have been on there eight or 10 days, I might have been on there a month. I’m kind of fascinated by the idea of you bouncing between “Transparent” one day and then another project the next day. Was there any of that? Yeah, there was a lot of that, actually, because we shot “Transparent” this summer and at the same time, I was shooting “The League,” which you know is a very silly show about a bunch of bros hanging out. So it’s really the exact opposite of “Transparent.” And then I think I was shooting “Children’s Hospital,” also. “Children’s Hospital” is also kind of a comedy that is very fast and very absurd. We’re going for the joke on “Children’s Hospital,” and we’re going for the joke on “The League.” It’s fun to go between shows, but you have to mentally remind yourself what show you’re on. Are you enjoying the variety of projects you’re taking on? I kind of got really lucky a couple of years ago I got to do a part in “The Descendants,” in Alexander Payne’s movie. I just had a small part, but I got to do a few scenes with my best friend George Clooney. I don’t know if you know, but George and I are best friends. I mean, I see it in the magazines, all the time. Yeah, if you have the Internet, you’ve probably seen that he and I are best friends. But I did a part in “The Descendants” and that was really the first thing that I had done where it wasn’t really a straight-up comedy. I think there are a lot of really funny things in “The Descendants,” but there’re a lot of different tones in that movie, in the same way that “Transparent” has a lot of different tones. And I remember flying out there and being in Hawaii and you know, it’s Alexander Payne and I’m a huge fan of all of his movies, and it’s George Clooney, who’s like the best actor in the whole world, and I was just kind of looking around like, “Okay, well, who’s going to be the weak link in this scene?” And that would be me. So I was just totally intimidated and I felt like I was totally out of my league, but in a cool way, like in a way like I haven’t felt out of my league in a long time. So I’ve just kind of been keeping my eyes open for stuff like that and “Transparent,” luckily I’ve been able to do something in that. Again, I think the show’s really funny, but I’m not super funny in that show. It all really just comes down to the writing. There’s so much stuff out there now, there are so many shows that it’s so hard to keep up with them, but if the writing is good, it’s such a joy to be a part of it. It really is like 95 percent of it is the writing. If it’s good writing, I don’t think it matters whether it’s comedy or drama and I think it’s the same way with people watching stuff now. There’s a thing where I don’t think people really care if it’s comedy or it’s drama, if it’s a half hour or an hour. The only people that care about that is the Emmy Awards, which is weird to me. There’s such a thing about, “Oh, is this a half hour? Is this an hour?” Who cares? A show can be dramatic and also be funny. A show can make you cry and make you laugh. I think people want all of that, so it’s been fun for me to cross over a little bit and kind of dip my toes in stuff that’s more serious. Yeah, it’s just weird. I know that people like to categorize everything, I guess it makes everybody more comfortable if you can put this in a box, but I think for the viewer, they don’t care and for the actors, they don’t care. If it’s good writing, it’s good writing. I think those lines are starting to blur, and I’m all for it. So do you have anything exciting that’s coming up that you’re looking forward to? Well, now I just heard that they put out the season premiere of “Transparent” tonight, which is a sneak peak. Then that comes out on the 11th, the rest of them. Well, you’ve already seen it. Then, I did this movie with Adam Pally called “Night Owls” and that comes out December 4th on VOD and in theaters. That’s Adam Pally and Rosa Salazar, they’re super funny. That movie is really funny and good. I actually saw it back last spring because I interviewed Adam Pally at South By Southwest. And it was a delightful surprise when you showed up. Yeah, and again, I’m not funny in that movie, but it’s fun to do stuff like that. I think that those two guys, Adam and Rosa, are so good in that movie. Yeah, so those two things and then a new season of “Children’s Hospital” comes out in January. This isn’t like the last season of “Children’s Hospital” or anything, right? I think it’s in our hands. It’s funny because I think the show gets pretty good ratings and so they kind of just let us do whatever we want to do. It’s really just up to [Rob] Corddry. Corddry’s doing that show “Ballers” now, but I know we’re going to do another season and as long as Corddry’s having fun doing it and as long as we can continue to get all the people to come back — that show doesn’t take a long time to do. That show only takes about five or six weeks to shoot because each episode is only fifteen minutes, so they can bang that out a lot quicker. Yeah, I think it’s kind of up to us if we’re going to do more of them, but we just have a blast doing them and people seem to like them. No reason to not keep on doing it if you’re having fun. 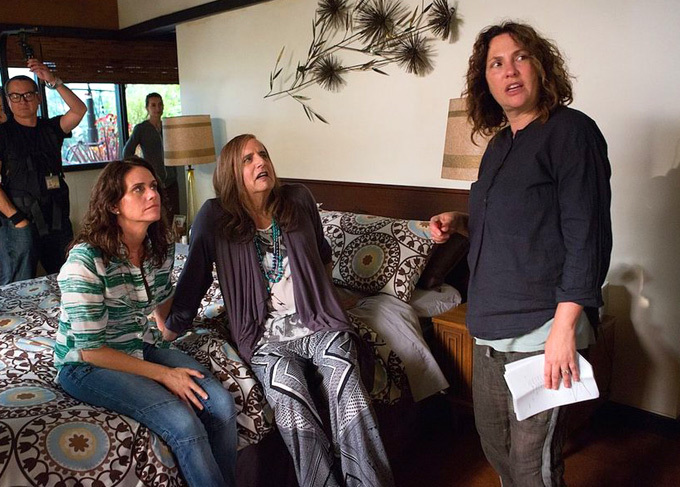 “Transparent” Season 2 is now available on Amazon Prime. “Childrens Hospital” Season 7 premieres January 22, 2016 on Adult Swim.